Insomnia? How to sleep better without sleeping pills. If you suffer from insomnia, you have probably experienced that sleeping pills offer only a short-term solution. The body gets used to them. They also have undesirable side effects. You might have changed certain bad habits, like working on the computer before bedtime, or staying up too late watching tv, and you still have trouble. You toss and turn once you go to bed. Or you wake up in the middle of the night. Or in the early morning and can’t get back to sleep. Friends have recommended acupuncture. You decide to look into it. Research shows that acupuncture is at least as effective at improving sleep as drugs, or even more so. The good news is it does so without causing side-effects or creating a long-term dependency. 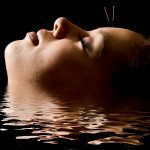 Acupuncture balances neurotransmitter and neurohormone levels. In other words, it improves the healthy functioning of the nervous system, and in a natural way. For the same reason, it helps anxiety and depression. My clinical experience has been that most patients continue to improve over a course of therapy and that they maintain their improvement for quite a while. It is as though the nervous system has been re-programmed to work better. In fact, besides improved sleep, people often report a greater sense of well-being and an overall improvement in health. I would like to invite you to read a few testimonials of patient’s I have treated who had insomnia either as a primary or secondary complaint. This older article says more on Acupuncture and Insomnia in Chinese medicine.